Pho bo ( pronounced "pfa bo " ) soup is a hit of nowadays.. If you follow our instructions, you will find it quite simple. Firstly, read the entire instructions, watch a video, and then you just have to print the ingredients and go shopping. Our tips can be found at the end of this recipe. 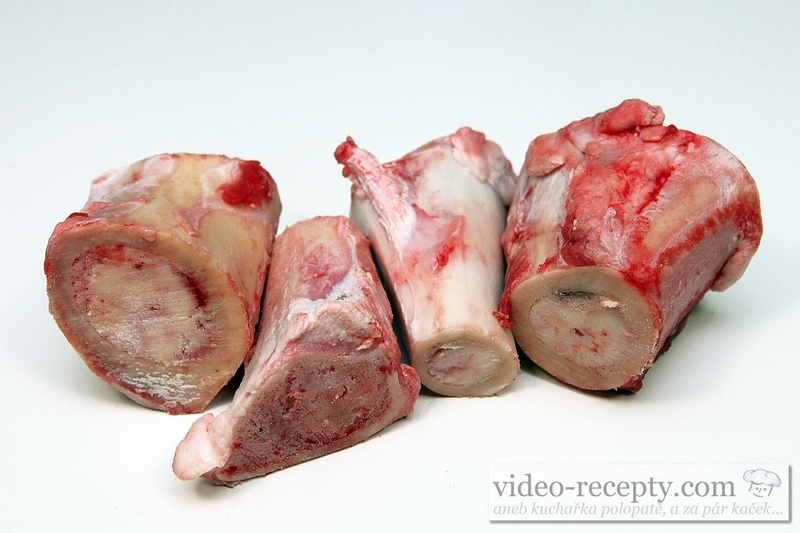 Phở bò tái starts with marrowbone that we wash well, place them in a bowl or pan, and at 180°C, bake for 30 minutes. Then switch off. Heat a pan at 200 to 240°C, put 240 grams of onion and 50 grams of gingeron it. If the onion is large cut it in half, if it is small, then leave it whole. 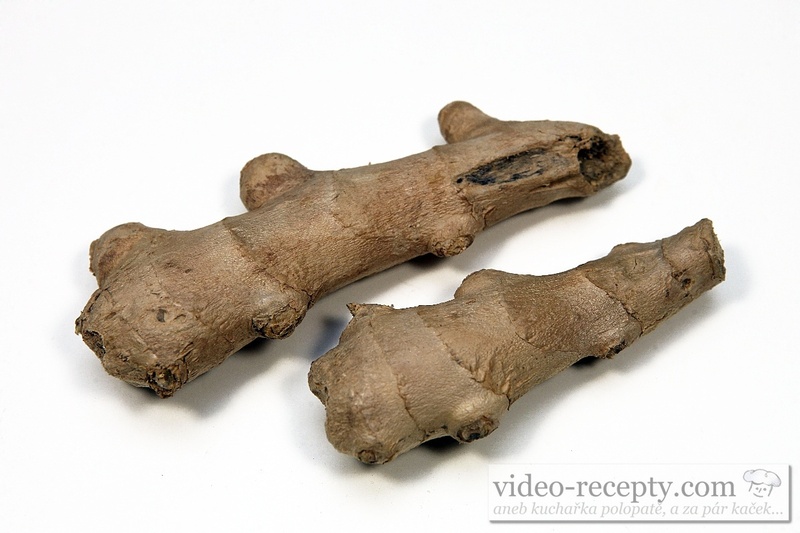 Cut ginger in half lengthwise. 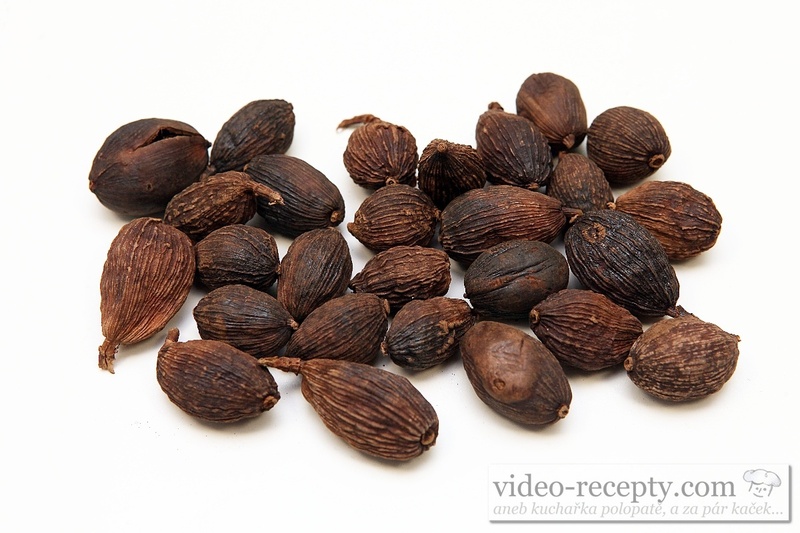 Furthermore, on the pan, put the whole cinnamon, 6 pcs of a black cardamom and 6 pcs of badyan. The aim of this operation is to give the ingredients a little tan. Stir occasionally, so that everything is cooked evenly. 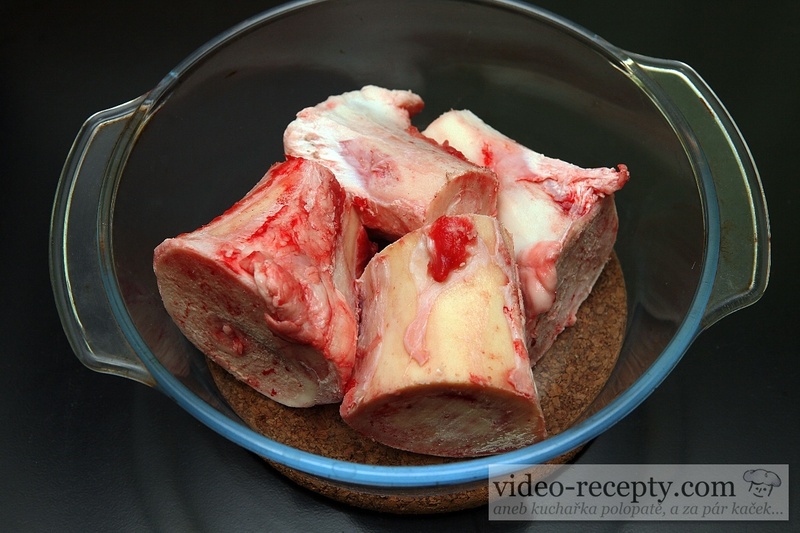 Into 6 liters of boiling water put about 600 grams oxtail, 800 grams of beef ribs and roasted marrowbone. 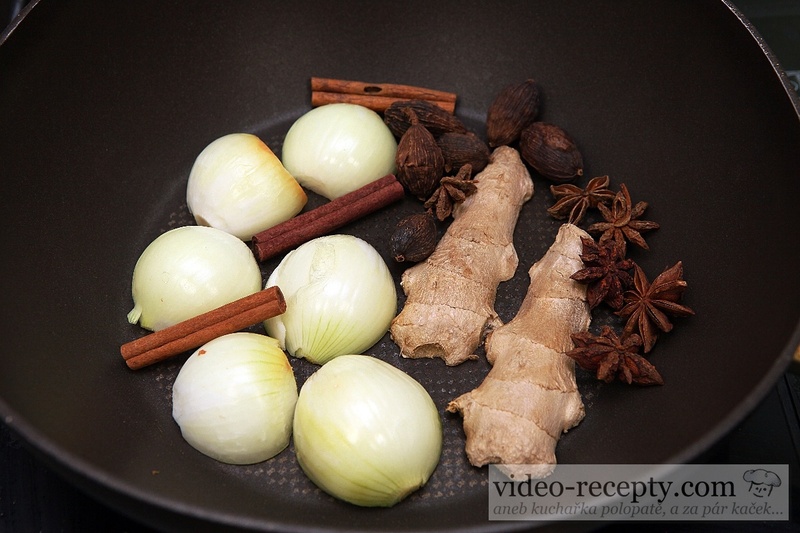 Add the content of the pan, 2 tablespoons of sugar, 3 tablespoons of a fish sauce and a tablespoon of salt. Cover with a lid and let the soup gently bubbled. This happens for several hours, in Vietnam they do it mostly during the night. 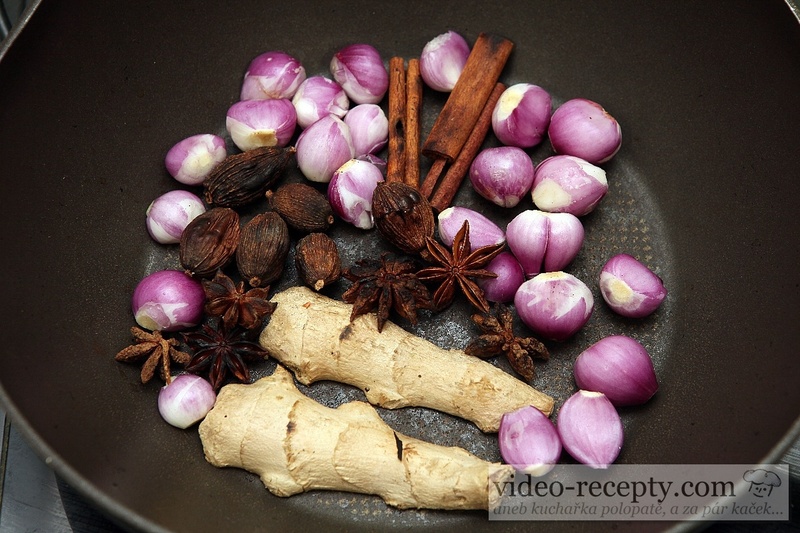 Therefore, it is good to prepare the broth in large quantities. It is also prefered to use a large automatic "slow cooker". If you do not want fat in the soup, then continuously remove it from the surface with a spoon. This amount should be cooked for about 4-5 hours. During the cooking pour some more water but not after 1 hour before end. And just before it is ready add salt. Let the finished soup cool, best over the night. Leave everything as it is, and do not stir. This way all of the fat float to the surface, because fat is lighter than water. Using a spoon remove all fat from the surface - the more, the better. Do not throw fat away, it can be added to a potato soup, pea soup and other soups, in which there is almost no fat. Put the broth on the stove and begin to heat up. When it is hot, take out the meat and strein the broth. Use a fine mesh sieve so the broth is free of small bone fragments. Of course we can also strein the broth before it cools down. 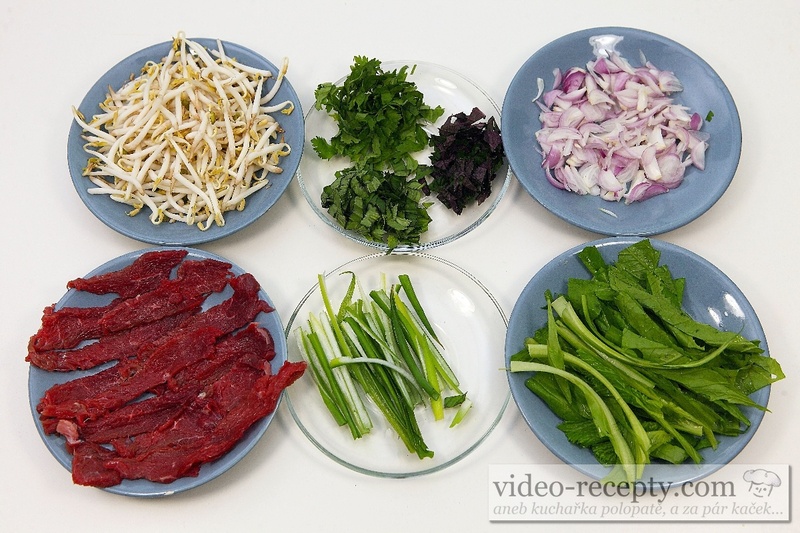 Before the broth begins to boil, we begin to prepare noodles, meat and herbs. 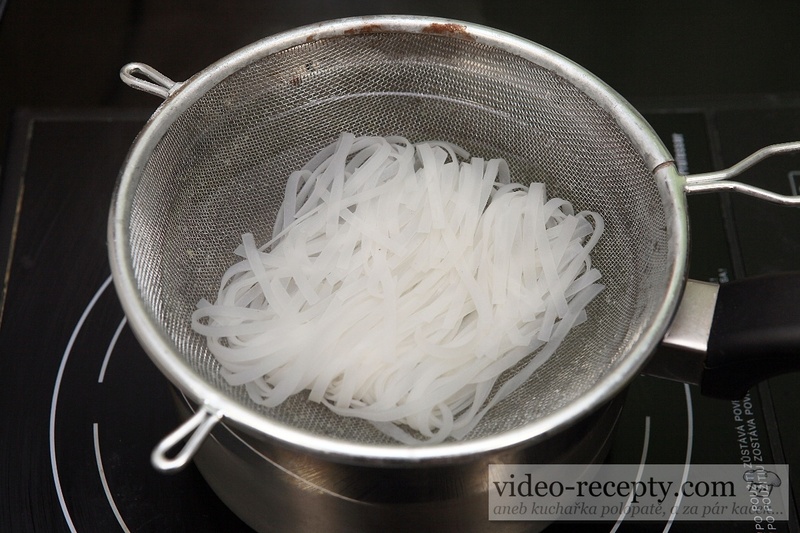 Put the rice noodles in cold water for 15 minutes and cut the meat. 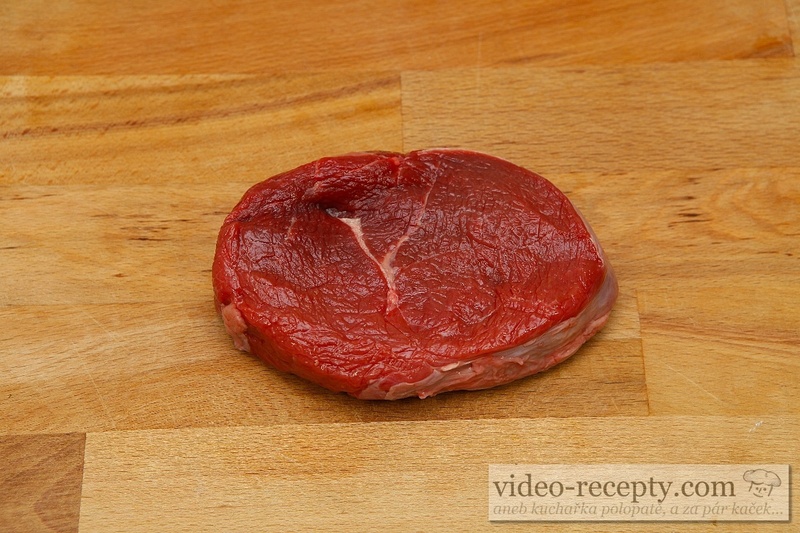 Beef tenderloin cut into slices as thin as you can see in the video. Onion cut into small strip or slices. 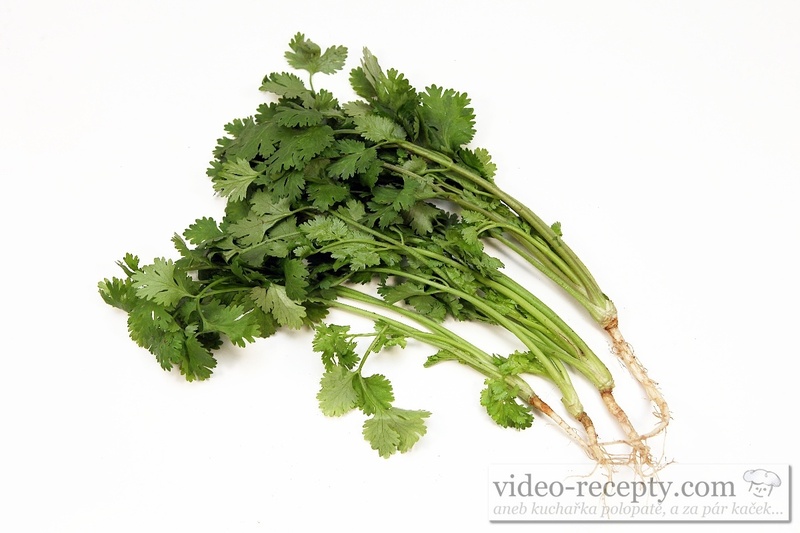 Take off the coriander leaves and remove the thicker parts of it, and cut it into small pieces. 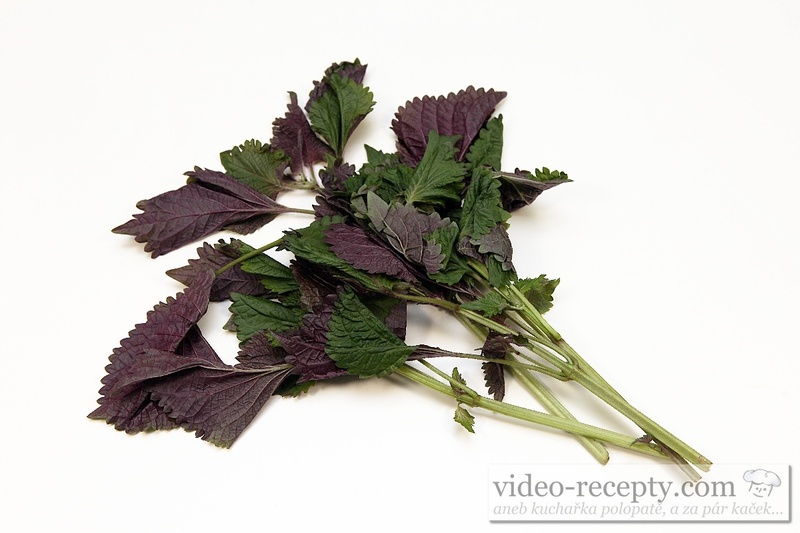 Pick off perilla leaves, which again chop finely. Do the same with a Vietnamese basil. 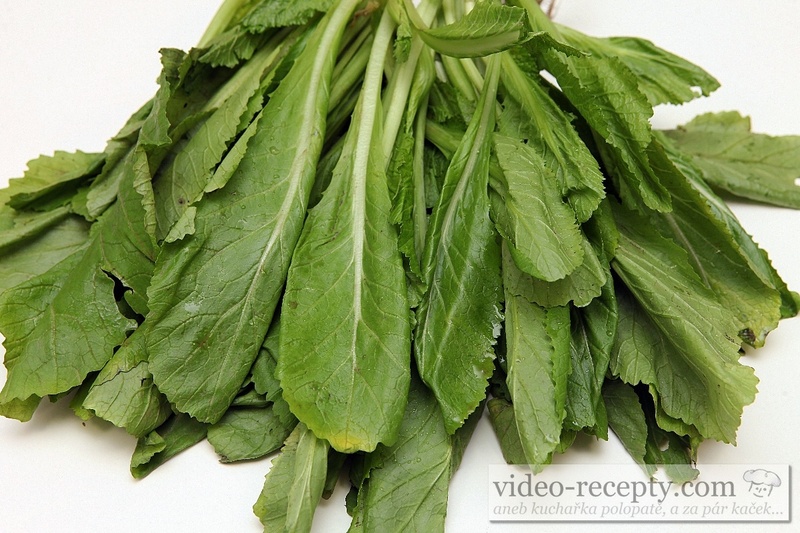 Mexican coriander is used in largest amount, has a pleasant taste of cabbage. Other herbs - just a little - we put in a bowl of soup. 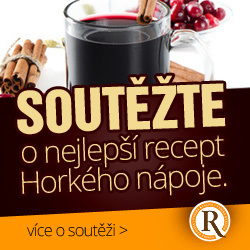 It 's up to you wheather you enjoy these very aromatic herbs and in what amount. From the leaves of Mexican coriander remove the harder middle bits and then chop them as wide as rice noodles. Now we begin to serve. 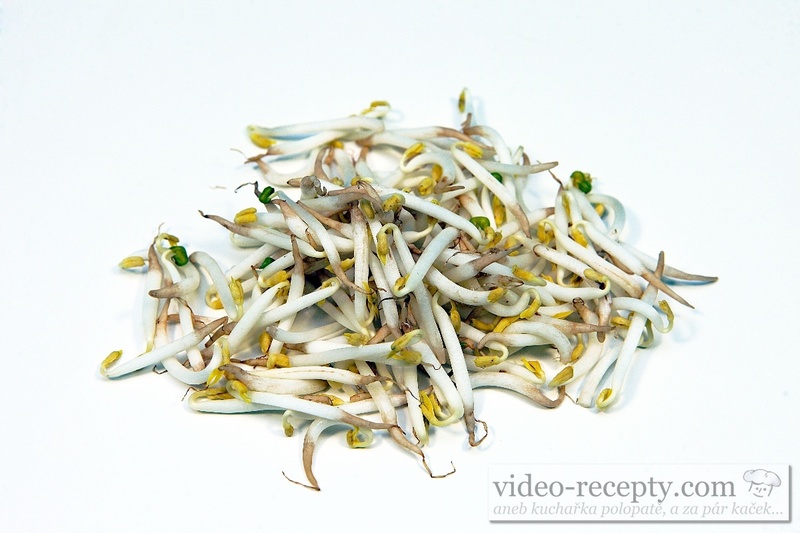 On the bottom of the dish, which should be about 650 ml, we put hot noodles, add sliced ​​onion and a handful of mung sprouts. 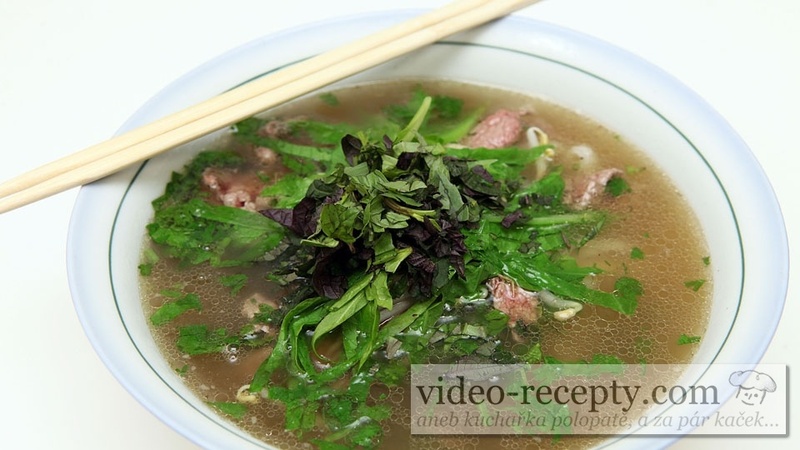 Put a sliced beef tenderloin in a scoop, dive it into a boiling beef broth and leave it to cook, as shown in the video attached. From the scoop put it into the bowl. Another way is to put the meat in a bowl and pour it with a boiling broth. A more practical method is the one with the scoop, because the meat is softer this way. Thus we have seen it in Vietnam Hanoi. Amount of meat is of course up to you and to your taste. 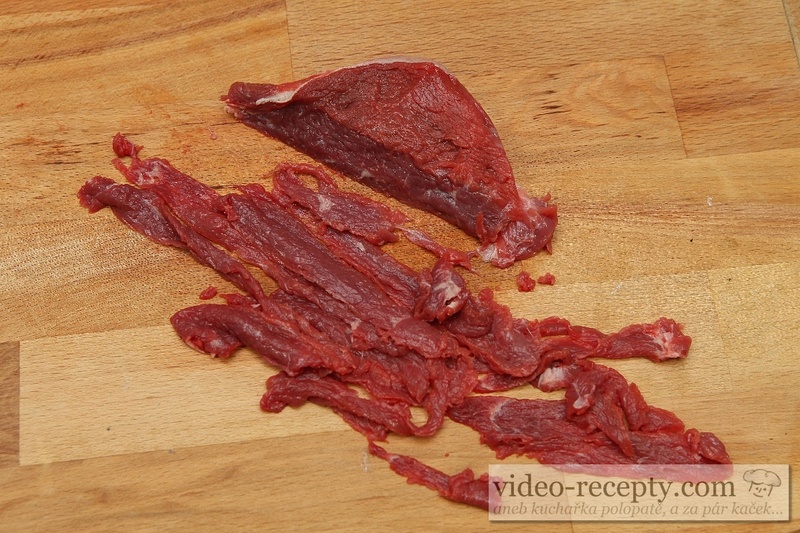 The more meat there is, the more preferable method is described with a scoop. Now in a bowl put a handful of Mexican coriander, a few stalks of spring onion and pour boiling broth. Phở bò tái is served with herbs in a separate plate. 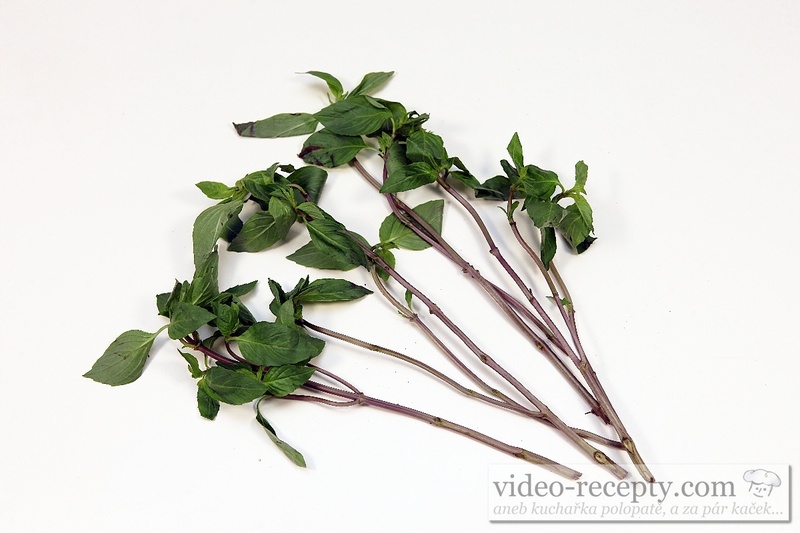 The most common herbs are Vietnamese basil, perilla and coriander. Put little of these herbs on plate. All of them are very aromatic, so use just a small amount. 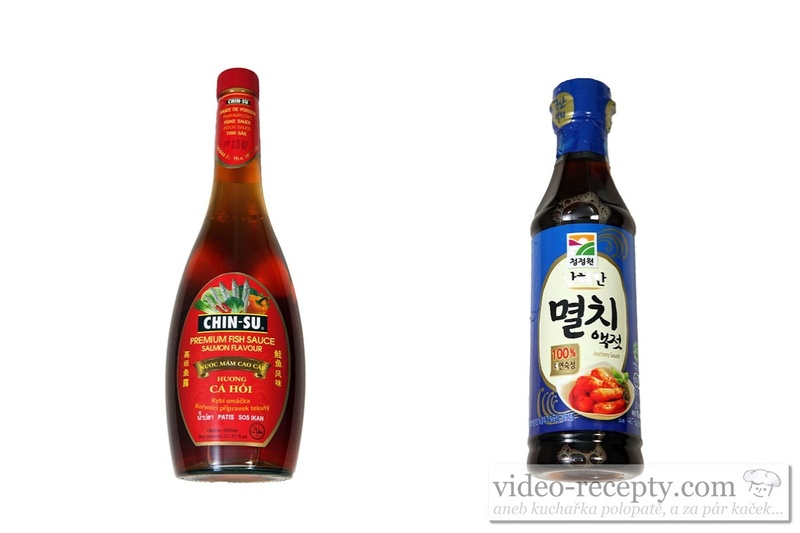 Next, add the bowl with the chopped chilli or chilli sauce in a bottle, fish sauce, pepper, salt, lemon or lime and also in Vietnam is often served a pickled garlic. You can see the pictures of ingredients below this text. 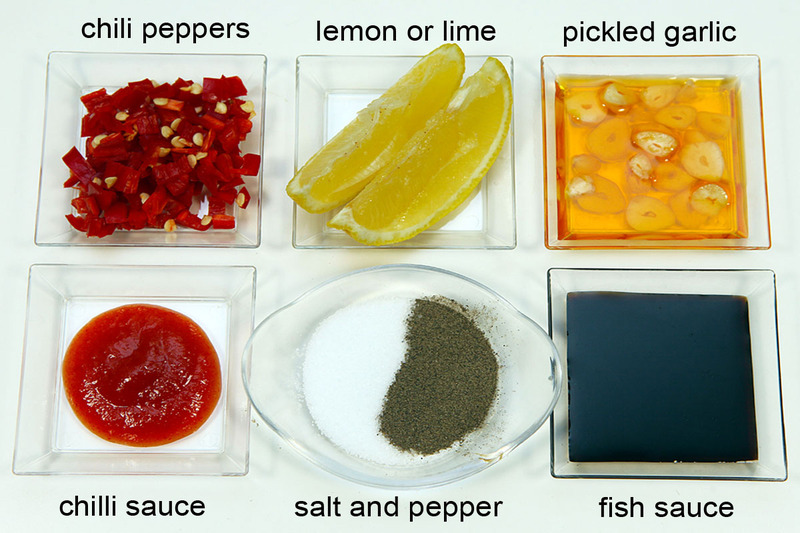 Ingredients that are served along with soup and herbs. Tip 1: Make broth always in large quantities. Do not worry that soup won´t be tasty. The broth can be easily frozen. It's the most difficult part, the rest is ready in the bowl in a minute. Tip 2: You will have some difficulies to find the herbs in ordinary shops, but in Vietnam marketplaces they will advise you. For this case we have also named the herbs in Vietnam language, so they immediately know which one it is. Tip 3: The most common herbs are Mexican coriander and mung sprouts. Coriander, perilla and Vietnam basil herbs are very aromatic, and thus use very little of them. 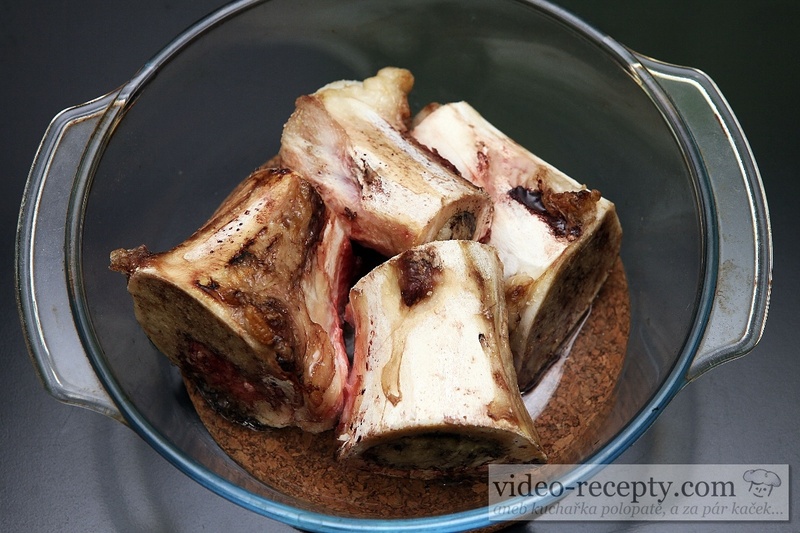 Tip 4 : Use beef bones, tail and ribs in various combinations. It does not matter if you use them in different quantities. But always use marrowbones. Tip 5 : Rinse the meat thoroughly in cold water and bake the bones as directed. This saves you a time with replacing the water, as stated in some other recipes. Tip 6: Do not look for the original recipe for soup Pho, it does not exist. On the internet, we went through hundreds of recipes, but none of them were the same. 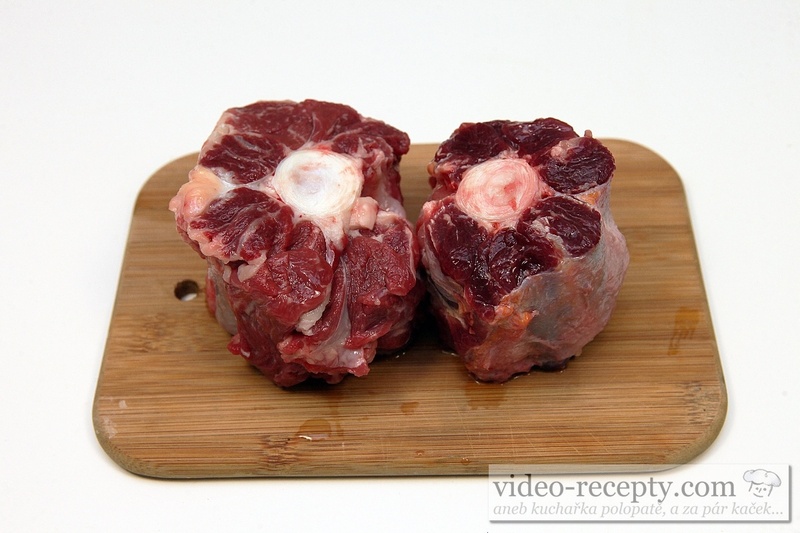 Tip 7: What to do with meat that was left of the broth? 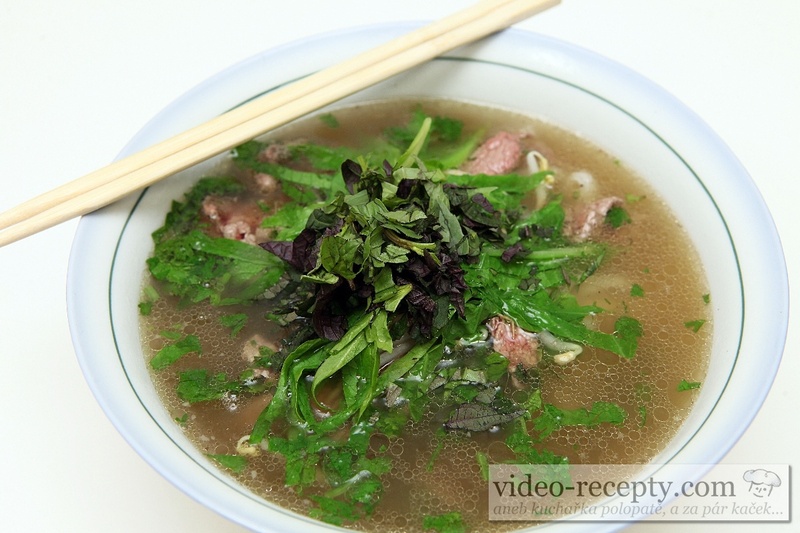 It is a soup called "phở bò chín", of which the recipe can be fond HERE. Tip 8: This soup costs in various restaurants from 79 up to 259 crowns. At this price the average family eats this soup at home 3 times. Do not underestimate the soup because is full of vitamins and minerals. Tip 9: If you find this soup too fatty, then let the broth cool completely and the second day pick up all fat with a spoon, and then you have a great and healthy diet soup. Soy improves and maintains good health and adds a lot of energy. 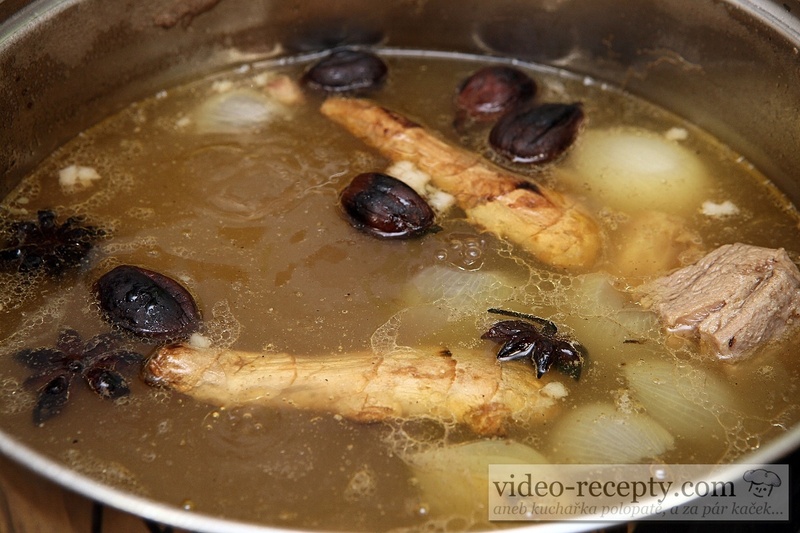 | The preparation of soya cubes lies in seasoning the broth. If you have a weak broth, the soy cubes will taste bland. Soy cubes themselves have no taste, so we need to get a good taste into them. It is only up to you what they will taste. This recipe describes the production of hot spread, which is suitable not only for the toast, but also to prepare many other delicacies. | You know - in the evening comes a bunch of people to visit, but what is to offer? This spicy dish handles everyone,it doesn´t cost much and the result is guaranteed. | As the amount of this hot sauce is around 1 liter, it can be safely inserted into clean jars and sterilized for 15 minutes in water at 90° C. | Sauce as the name suggests is hot, yet for some children very tasty. Decision if this dish is served to children is up to you .... | Imagination has no limits, so you can decorate it with slices of hard boiled egg ​​or pickled cucumber and pepper. | If you put this sauce on a large pan and add 30 eggs then this bunch of people burst bursts overfeeding :-) | When you take advantage of discounts on summer vegetables, then you have this delicacy for a few bucks. Very fast food prepared without oil. Additionally, for a few bucks and with excellent taste. | Serve with rice or if you are not on diet with fresh bread. 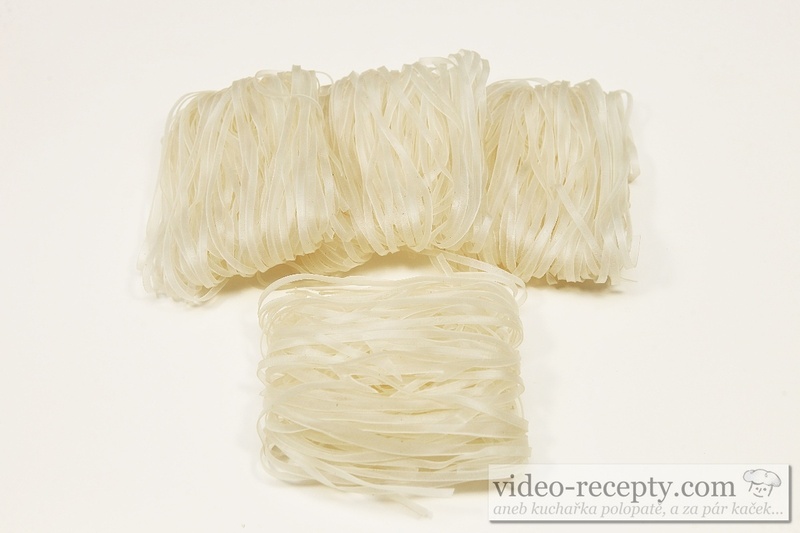 Excellent and cheap delicacy that according to our video can handle everyone. The food is delicious with potatoes, mashed potatoes, bread and pastries. You can add to it not only pasta of any shape, but also rice. Chocolate cup is delicious especially for children, but also adults will love it. Next time let your children prepare this quark dessert. They will be delighted and will certainly learn something. Is it still far to payment and you want to make a healthy food? Then you go for this recipe! | It is not only done very quickly, but this dish is full of vitamin C because of parsley and chives ... | Nutritionists advisers nod in agreement over this dish because it consits of an appropriate ratio of trace elements. | If you want to save even more, simply peel the potatoes and from the resulting potato broth, you can cook a garlic soup. This chicken is very simple and yet the result is the same as that of a professional grill. This salt mixture cannot be used directly for flavoring meals. As a yogurt maker may serve any space which keeps temperature in the range of 39 to 41°C. Some chefs and cooks use for this purpose an electric oven. This is a really excellent meal. Preparation is extremely easy and so according to our video can be managed by everyone. |This food is delicious with potatoes, mashed potatoes, bread and pastries.